Why do boring rectangle magnets when you can do ANY Shape magnets. Round, Circle, Oval any shape you can think of – we can do it. Just setup the artwork with the proper die-cut line and we take care of cutting it out to that die line. 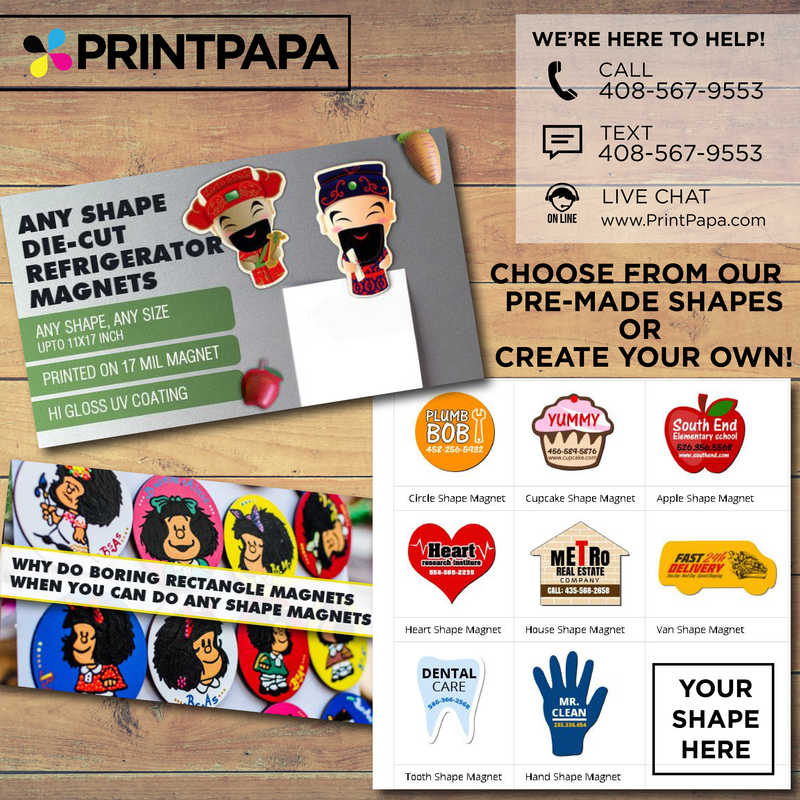 This entry was posted in Marketing, New @PrintPapa on February 24, 2017 by Shawn Nag.